The Harley-Davidson Sportster® lineup includes nimble, fun-to-ride bikes at affordable price points. 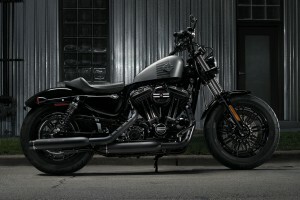 The new 2017 Forty-Eight® returns with more style and performance than ever before, making it the perfect bike for powering through Los Angeles and the Inland Empire, CA region. If you’re looking for an inexpensive, fun, easy-to-ride bike, then consider taking a test-ride here at Riverside Harley-Davidson®. 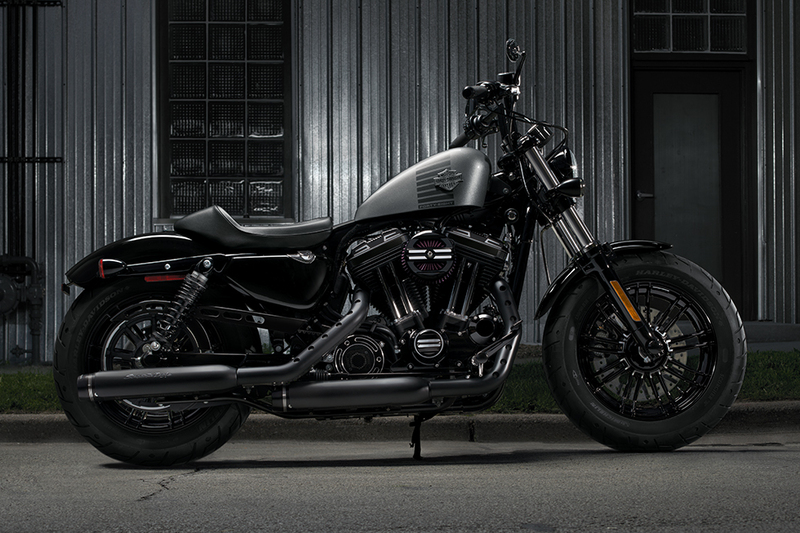 The Forty-Eight® is a smartly designed bike that offers the confident handling and supreme comfort that you expect from a Harley-Davidson®. Michelin® ScorcherTM Tires: It’s hard to argue that your tires are among the most important parts of your ride. That’s why we’ve chosen a tire with race bred performance to provide confident cornering, awesome grip, and impressive durability. 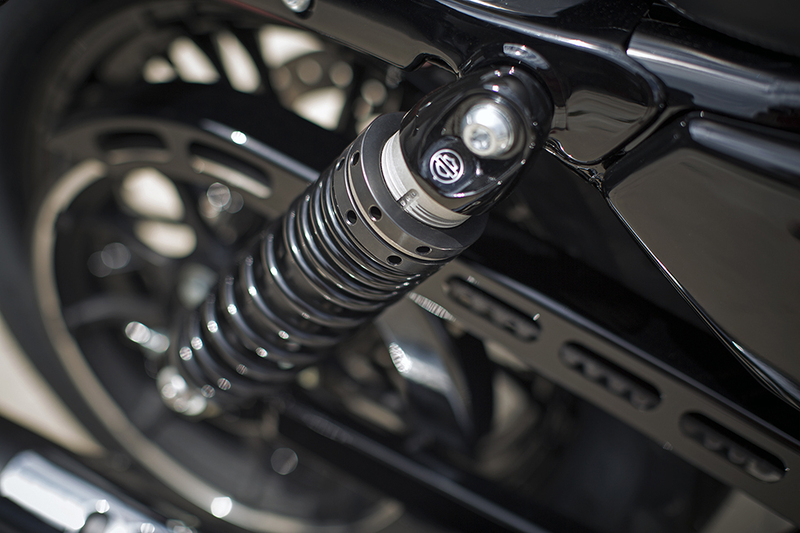 Emulsion Rear Shock: It’s quick and easy to dial in the suspension to meet your needs and unique riding style. It’s the best way to smooth out those rough patches in the road. 49mm Fork with Cartridge Damping: With a bigger diameter, these fork blades are stiffer and stronger for added confidence in the corners, and they still provide plenty of comfort thanks to retuned dampers. 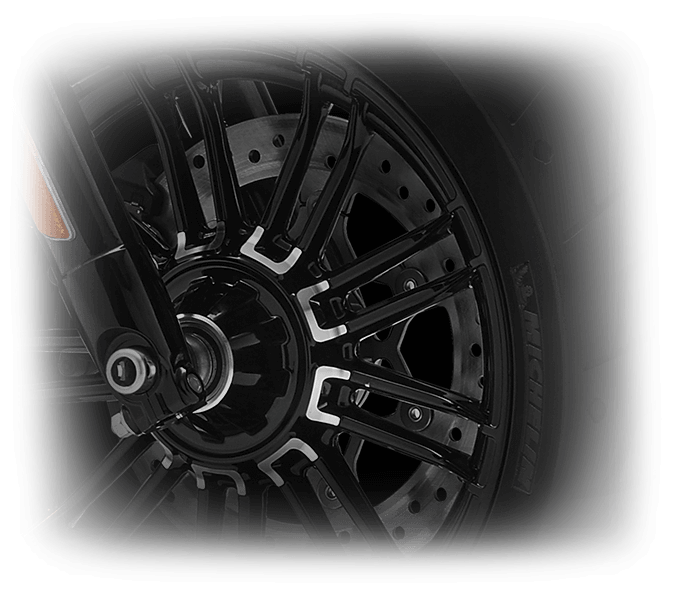 Split 9-Spoke Wheels: Lightweight alloy wheels provide stiffness, confidence, lower rotating weight, and plenty of good looks. Black and machined finishes give these nine-spoke wheels a classic style. 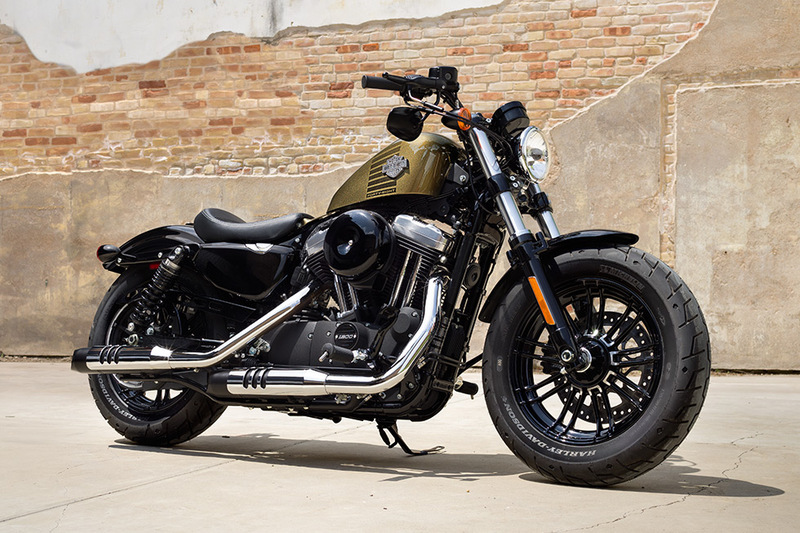 The 2017 Forty-Eight®’s design comes straight out of post-war bobber style, but it’s also packed with some of the most contemporary features around. Antilock Brakes: Choose to upgrade to antilock brakes and add confidence and control to your bike with increased stopping power. Ergonomic Hand Controls: We put your hand controls right where your hands want them. 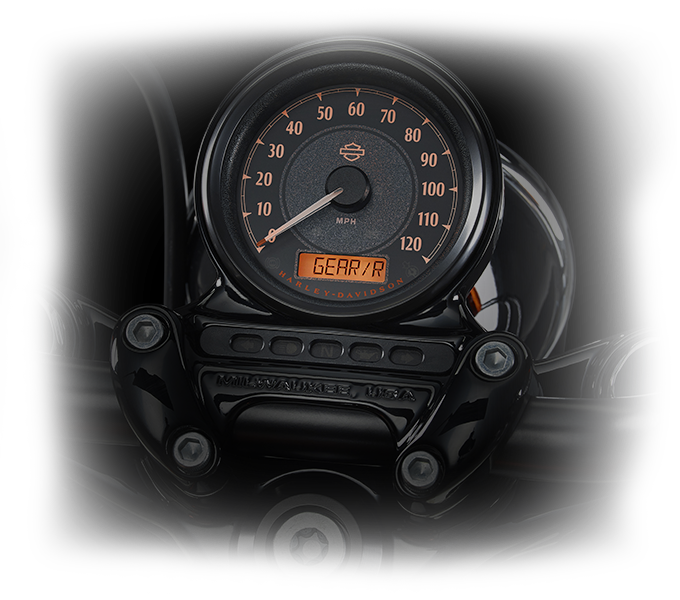 They include all the controls you’ll need, allowing you to focus on what’s important: the ride. Foundation Brake System: With bigger rotors, more powerful calipers, and upgraded components all around, the Foundation brake system delivers superior braking power with less braking force required. Tach and Gear Readout: You’ll always know what gear you’re in thanks to this smart tach and gear readout conveniently located on top of the console. 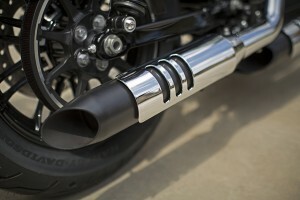 Closed Loop Exhaust System: You can enjoy the instantly recognizable roar of a Harley-Davidson® V-Twin and still cut down on emissions thanks to the closed loop exhaust system of the Forty-Eight®. 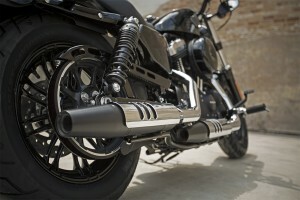 H-D® Smart Security System: Upgrade your ride with this security system. It offers peace of mind with a system that automatically activates when you walk away from the bike. Integrated Electrical System: The Forty-Eight® gets a new body control that reduces the number of wiring harnesses, fuses, and other components to help improve simplicity and reliability. The Forty-Eight®, an unbeatable 1,200cc Evolution engine, has the power and dependability that Harley-Davidson® is known for. 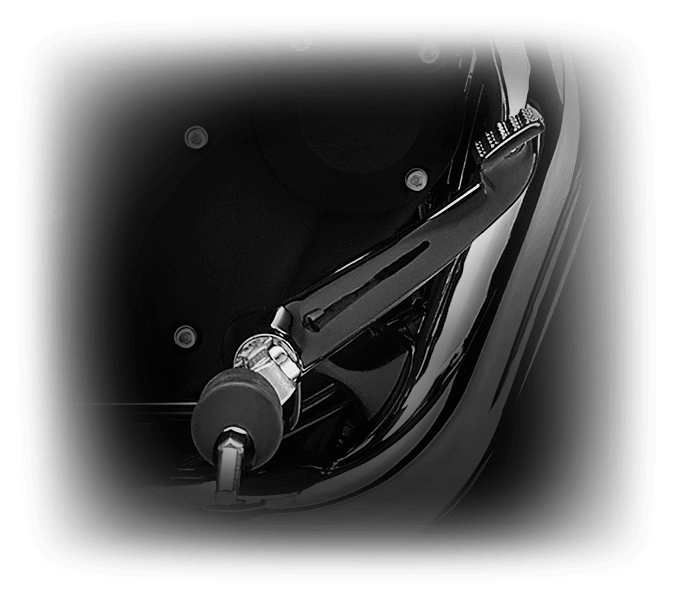 Harley-Davidson® Styling: The Evolution® is an instant classic with chrome air cleaner cover, black powder coated cases and cylinders, polished rocker covers, and chrome pushrods. It’s practically guaranteed to turn heads. 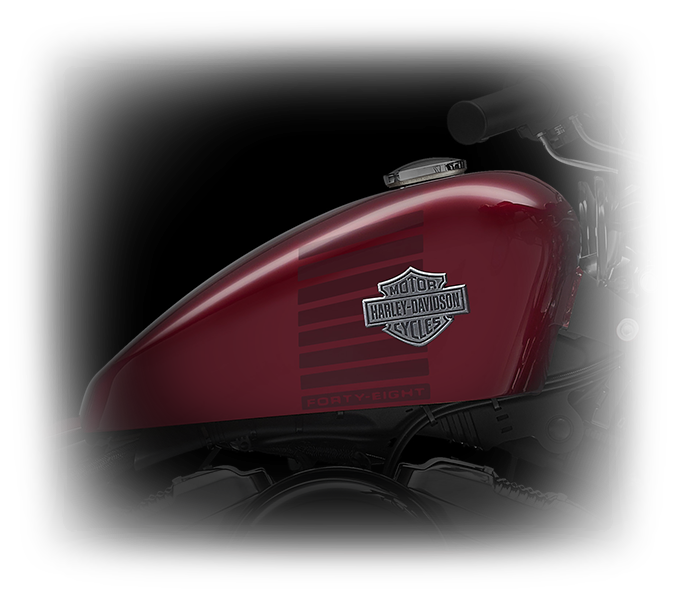 Heritage: The Evolution® has been delivering unbeatable reliability and power since 1984. Why mess with a legend? Innovation: The Evolution® is by no means dated. The current version has electronic fuel injection, alloy pistons, and lightweight components to provide power and better heat management. 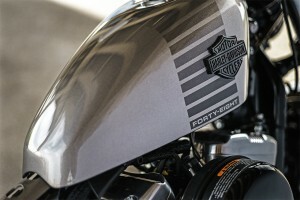 The Forty-Eight® delivers performance and style all while offering all-day comfort perfect for longer rides. Forward Mount Control: You can kick back, stretch out, and enjoy the ride with the forward mount controls on the Forty-Eight. 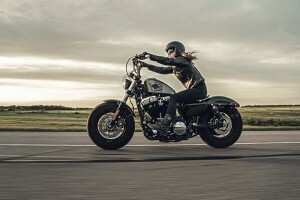 Low Profile Drag Bars: The slammed, aggressive bars put you in the perfect position to steer this bike around curving mountain roads or sharp turns in the city. 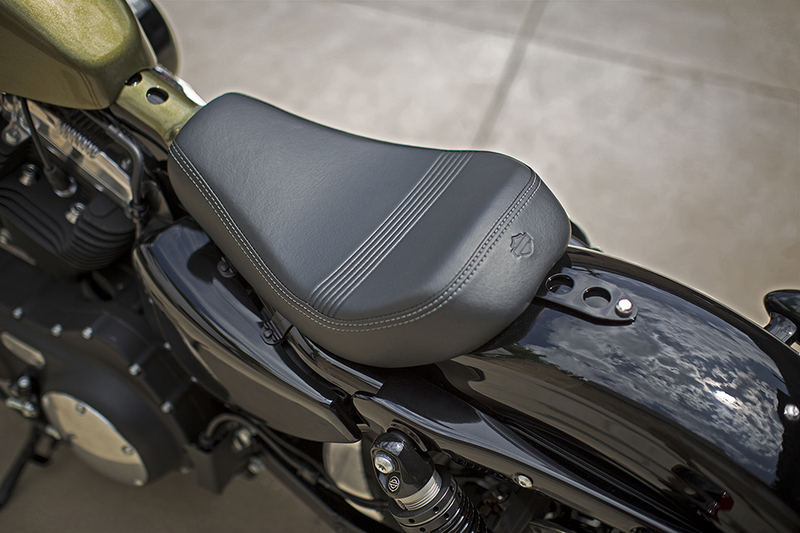 Low Seat: The solo seat on the Forty-Eight® is only 26 inches off the ground, so it’s perfectly positioned for that upright, comfortable riding position. The low seat also makes it easy to put your feet down at lights or lift it off the stand. Steering Geometry: With steering geometry optimized to provide confident handling at all speeds, this bike is simply a pleasure to ride. The Forty-Eight® is a clear throwback to 1948, and it shows in its distinctive styling. 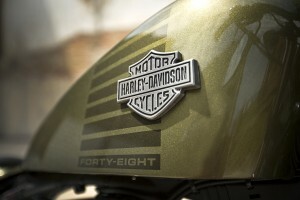 Peanut Fuel Tank: 1948 is the first year that this iconic peanut fuel tank was ever strapped to a Harley-Davidson® ride, so of course the Forty-Eight® has to have it. 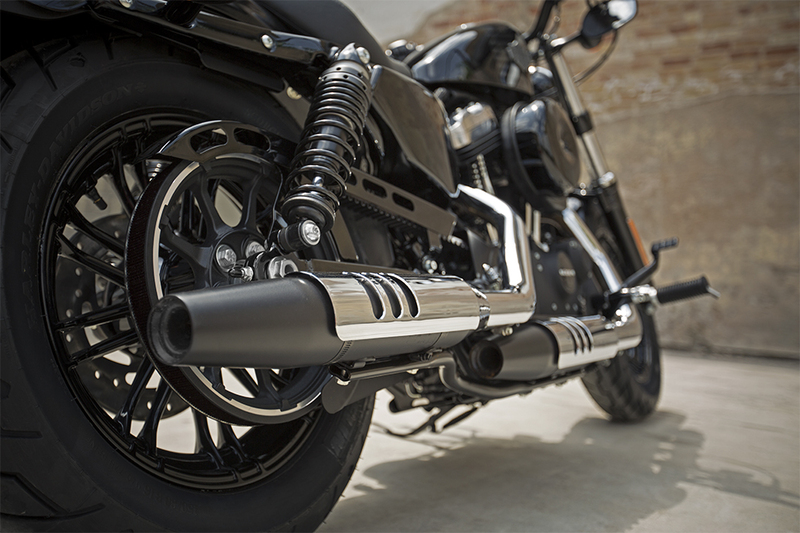 Fat Front Tire: The Forty-Eight® leaves a big, bold impression thanks to its oversized rubber. The big tires also deliver added grip and cornering stability while soaking up vibrations. 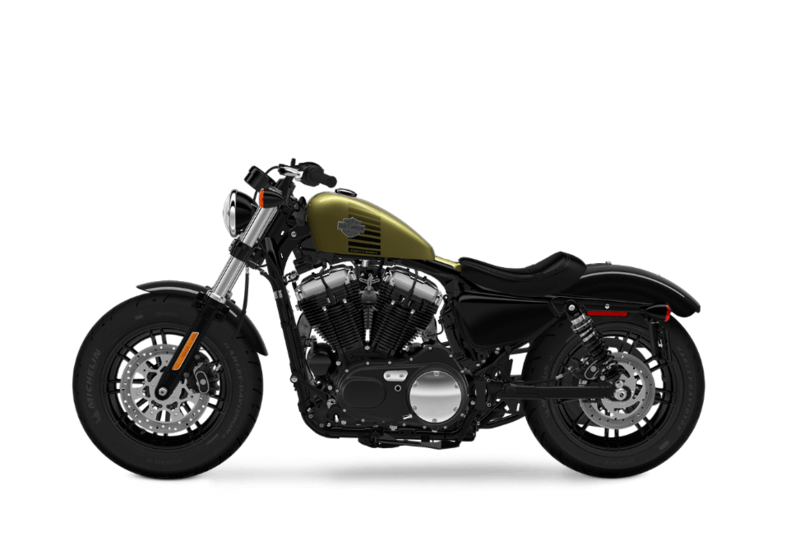 Hard Candy CustomTM Paint: The Forty-Eight® is offered with with Hard Candy CustomTM paint in a variety of premium finishes. Clean Rear End: The Forty-Eight® has a short chopped rear fender, minimal lighting, and a side mounted license plate in order to provide the kind of stylish, clean look you want. 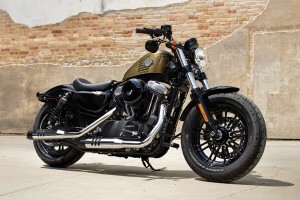 Slammed Front End: The front of the Forty-Eight® boasts slammed drag-style handlebars with a minimalist look provided by internally routed wiring. The mirrors are mounted under the bars for a mean, low profile look.